Selected Skinner House titles are distributed to the trade market through Red Wheel/Weiser, LLC. Please contact us by phone or email to set up an online account. Retail booksellers receive a discount on quantity orders of selected Skinner House titles. For more information, call 800-215-9076 or email bookstore@uua.org. We take Visa, MasterCard, and Discover. You can also send a check with your order. Please see below for our shipping fees. We will process your order by the next business day. We offer three shipping options: Priority Mail, Value, and UPS. Priority Mail and UPS orders ship within 2-3 business day and are typically delivered within a week of the ship date. Value (USPS) orders ususally arrive in 1-10 business days from the shipment date. We also offer the choice of rush shipping, which guarantees the order will ship the next business day.You will receive an email when your order ships if we have a valid email address on file. For the fee chart, click here. 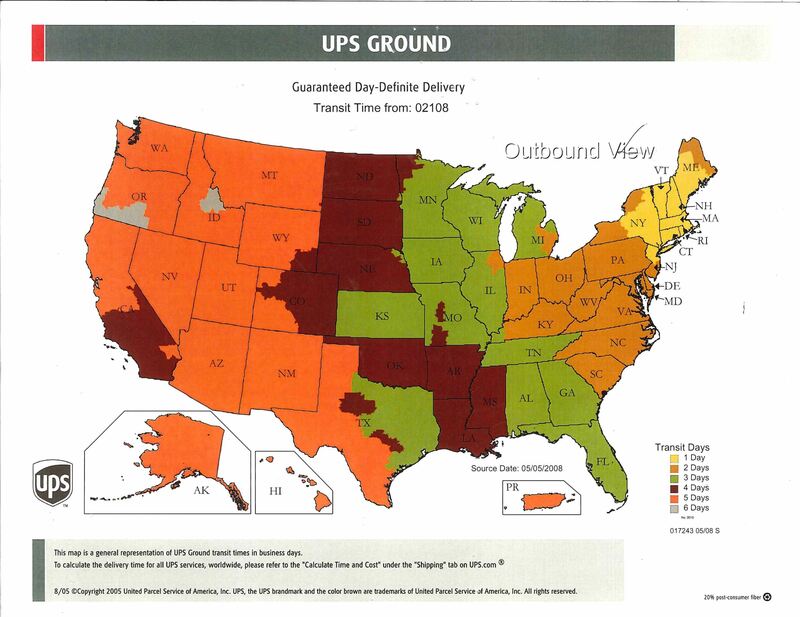 For a UPS Ground US shipping map, click here. Expedited shipping options are available. To place time-sensitive orders, please call us at 800-215-9076 or email us at bookstore@uua.org. We ship via US Postal Service Priority Mail International. When we receive your order, we will email you the shipping charges and confirm that you would like to place the order. We ship via FedEx International Economy. When we receive your order we will email you the shipping the charges and confirm that you would like to place the order. Please contact us at 800-215-9076 if you experience any problems with our service. We are open Monday through Friday from 9 a.m. to 5 p.m. Eastern Time – except during July and August, when we close at 4 p.m.